When people think of the uses of Log Cabins one of the first answers that springs to mind is "what can you actually do with it?" 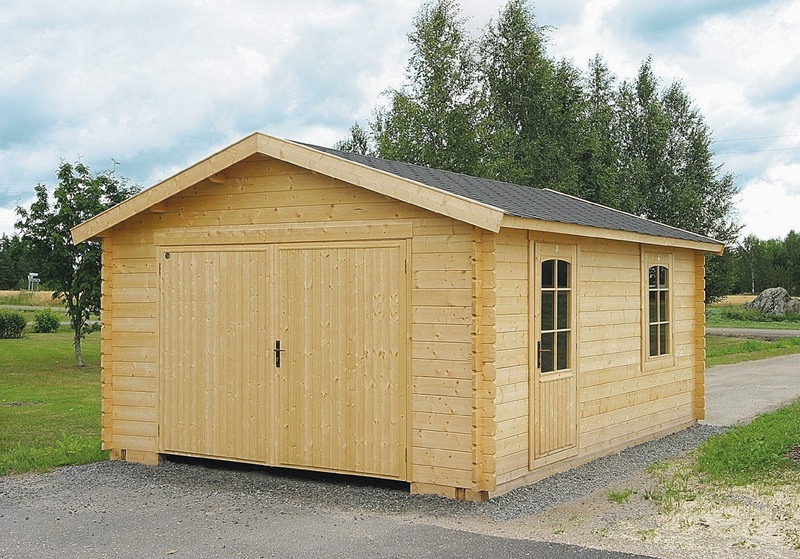 A lot of our customers intend to have their cabins as summer houses or garden retreats. There are also those that use their cabins in the same way as we use the large black cabin in the picture on the right, as a home office. There are even those customers who intend to use their cabin as an eye pleasing home storage unit. The majority of people who purchase Log Cabins do so with the intent of using them as summer houses or garden getaways. The good thing with our range is that not only are they durable and well built but they are also very pleasing to the eye. The picture on the left, sent in from one of our customers, is an example of a very comfortable and welcoming garden retreat ideal for relaxing. 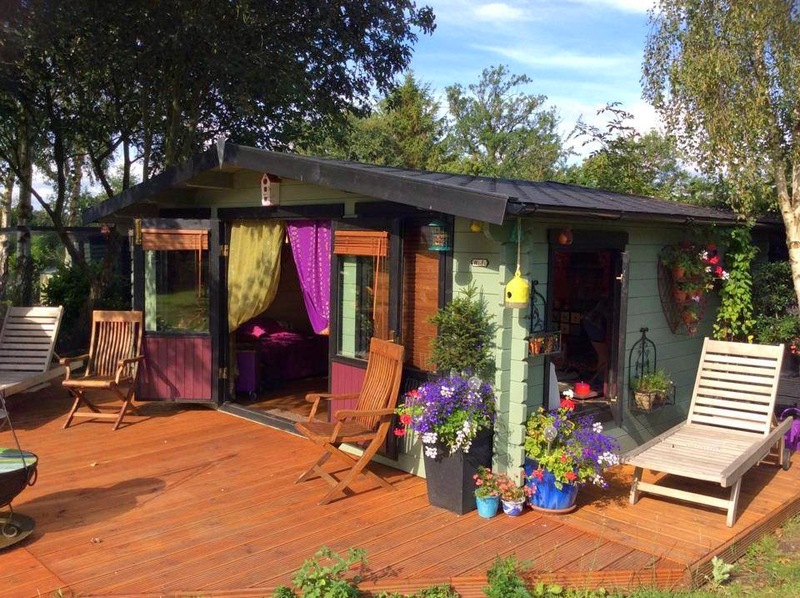 With a good colour scheme and some matching furniture a cabin can become an ideal garden retreat. 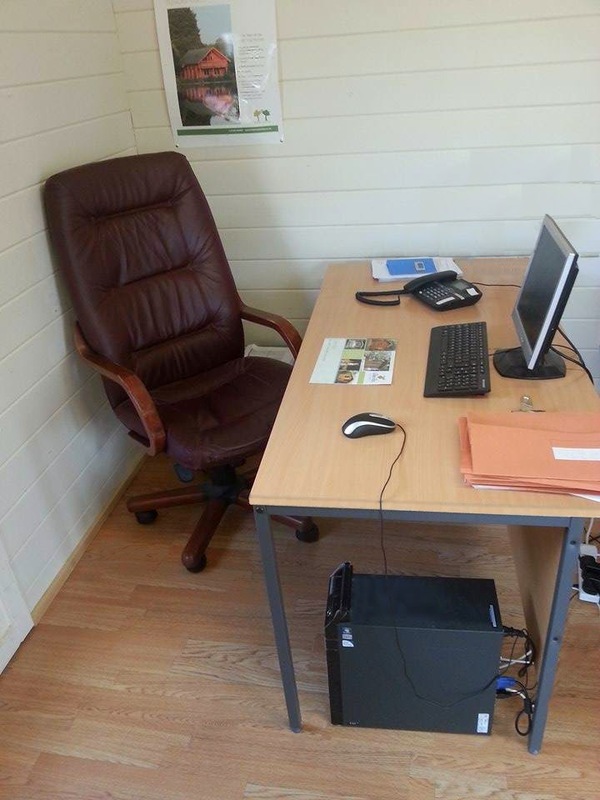 Our range of cabins are ideal for home offices as wooden buildings have been shown in research to produce a calming effect and helps with concentration, which if you are familiar with office work is essential. Along with these points it is generally just a pleasant feeling to be able to work from home in a dedicated space, blocking out all other distractions whilst hard at work in your cabin. Another use for our cabins is as a storage unit. They have a nice open space on the inside and still look quite nice on the outside. Many of our customers that purchase cabins for storage are those that do not wish to pay a third party for storage rates as they do tend to mount up over time. The example on the left is one that has also been used as a small garage. 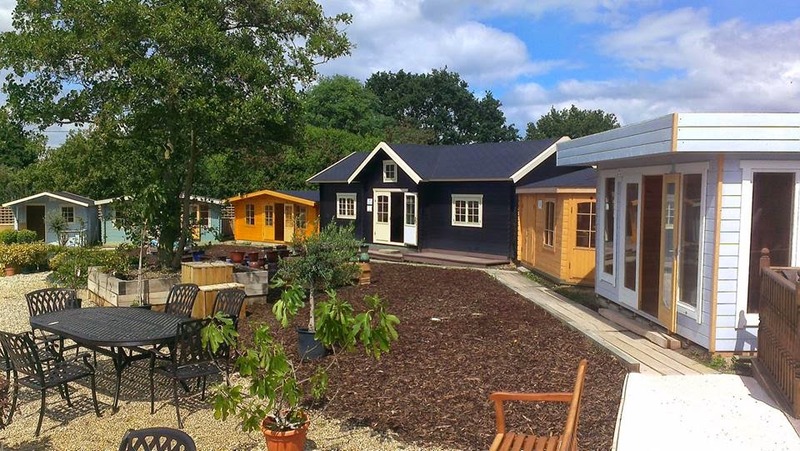 So as I have hopefully shown here there are several varied uses for our range of cabins, ranging from relaxing in your garden to working in a calm and peaceful environment to using the space for storing those objects that cannot be parted with.